We're assuming that you are looking for the best quality fencing repairs in Wichita, and if so, then you have found us! It doesn't matter what you're looking for, whether it be iron fence, vinyl fence, chain link, or wood fence repairs, Wichita Fence Repair is the company with the most experience and the quality to back it up! We are proud to serve the city of Wichita and all of our surrounding counties including: Butler County, Harvey County, Reno County, Kingman County, Harper County, Sumner County, Cowley County, and of course Sedgwick County! Our customers are given great customer service and great quality repairs to their fencing and gates. We put customer satisfaction at the top in every job that we take on! Give our offices a call today for an estimate on your fencing repair! When you are looking for the best fence repair company, it can be tough figuring out which one is going to be the most capable of taking care of your particular fencing problem. Wichita Fence Repair has the resources and expertise needed to provide you with the best quality service in each and every situation. We are very proud to offer you the best fence repair services available in Wichita, and to maintain that degree, you can insure that every repair is given our utmost attention to detail. We haven't found a job yet that is too big or too small for us to handle. Looking for chain link fence repair? Our licensed experts are the best! We've got the best fence contractors in Wichita, and they know how to handle each and every situation. Looking for a repair on your wrought iron fence? We've got you covered! Wichita Fence Repair knows the value of a beautiful wrought iron fence. We will show it all the care that it needs from simple maintenance to whatever repairs are necessary! Regarding fence companies in Wichita for vinyl fence repair and wood fence repair, there is no better option...we have no equal! Honestly, it doesn't really matter what kind of fence you call us out to fix, we can perform the repairs that you need. Give us a call today so that we can get started on that quote for your fencing repair right away! Most of our clients want to know right off the bat..."How much will this fence repair cost?" Obviously, the truth is that it all depends on what kind of fence you have and to what extent repairs need to be made. Our team here at Wichita Fence Repair is always going to shoot straight and give you a fair price on the repairs. ​As you know, every company repairing fences is going to make a claim about the value of their pricing. AND...nobody wants to hear a claim that is too good to be true! Since every mend is different, we are going to always make sure we are offering you exactly what you need. Due to that, we always provide a custom estimate for every client. With no hidden costs, the fence repair pricing estimate we present should leave you satisfied knowing that you are getting a great value. Custom tailored quotes for construction and repairs are always more accurate than guesswork over the phone. When you are researching the cost of your fence repair, always keep in mind care, quality, and efficiency. The value that our repairmen and installers bring to the table with their efficiency makes us the obvious choice for your local fence repair! When a customer has the experience of seeing the quality of the materials that we use and the work that we perform, and combines that with the care that we provide to make sure that the job is done right, choosing Wichita Fence Repair becomes a "no-brainer!" We always strive to make your fencing repairs as painless and cost efficient as possible. Give us a call today for your custom quote and realize the tremendous value and cost savings that we can bring you with your fencing repair. If we haven't said it already, we are proud to call Wichita home! The ICT community is important to us and shape us into who we are today. It is because of this that we take so much pride in the work that Wichita Fence Repair does. No matter what kind of fence you have, all fences need maintenance and repairs over time. Our local fencing experts will give your fence and gate repair the kind of care that it deserves. There is no reason that you shouldn't be happy with the way that your fence looks. Wichita Fence Repair will insure that you do. For those of you with wooden fences, you may be dealing with the trouble that comes from warped boards or rotting wood. When tackling a wood fence repair, we always use the best materials and our years of knowledge and expertise to make those repairs correctly. When we are done, your wood fence will seem brand new! We find that a vinyl fence can be one of the most reliable fences on the market, however, they occasionally need a repair. In most cases, Wichita Fence Repair can replace just the damaged section. Your fence will stay completely intact and retain it's strength and integrity. Do you have a chain link fence? If you are beginning to notice rust, you may have the need for a repair. Our local fence building team will assess the areas that are damaged and will usually take those sections out and replace them. Call us today to find out more! We know at Wichita Fence Repair that you take pride in everything about your home! The level of care that our team will provide to your residential fence repair will ensure that your fencing remains unique and beautiful. We you make the choice to hire us to repair fences, you are guaranteeing a personal investment from each member of our team that is engaged in the project. From the moment we get started, you will have a fence repair technician that works hands on to diagnose your repair needs. As homeowners ourselves, we know and understand that you want to have a say in what happens to your property and how the issues are addressed. We will listen intently to you and correctly diagnose the repair needs. When you make the decision to hire Wichita Fence Repair, we provide you with the repair plan that is going to give your fence the durability and look that you desire. For goodness sakes...we know that your life is so stinkin' busy already...who has time for the added hassle of repairing a fence? The fence contractors that we employ make sure that the job is taken care of right - beginning to end! Regardless if it is a complicated complete overhaul or a simple repair, there is nothing that our crews can not handle! Why don't you take the headache out of fencing repairs and give Wichita Fencing Repair a call today?! Every company desires to be able to focus on being the most innovative and best business in their field. Unfortunately though, when you have to spend time dealing with problems like fence repairs, your ability to focus on money producing activity decreases. We can't ensure that your business will never experience damaged fences due to severe weather, careless drivers, freak accidents, or the test of time, but we can ensure that when you call Wichita Fence Repair, you will be receiving the best support and service in the local fence building industry. Beginning to end we provide the level of care and planning that you are accustomed to showing your clients. With the personalized diagnosis, estimation, and tailored repairs that Wichita Fence Repair delivers, you will rest assured that we are always on your side. Speaking of that, when you hire our fencing professionals, you are actually getting more than you expect! Our eager to please teams are all professionally trained and make sure that your fence is set to be more durable as it ages. Because we have the best commercial fence contractors in Wichita, we know that we can increase your business' productivity in the long run with something as small as minimizing the issues that you will have with your fence in the future! You shouldn't have to go thru hiring multiple fence repair companies to come out, or even the same one to come out time after time after time! We do our job right the first time, and inform you as to the state of your fencing, and what it will require to stay in great shape. Once that plan has been implemented, you can rest assured that you will have fewer repairs to deal with in the future! Our hope is that if you do have wind damage, or a careless driver hit your fence, that you will have been so satisfied with our service that you will give us a call again! This is the time to give our team a call and schedule an appointment for us to come out and inspect your fence damage. If you've read this far, it is obvious that you are looking for someone to repair your fence, and we know that you want someone who will keep your best interests in mind. We all know that when severe weather comes a blowing thru, or when the waters rise and cause damage, there are some companies that will swoop in and may try to take advantage. At Wichita Fence Repair, we have no intention to trick you. Our quality and craftsmanship with fencing repairs speak for themselves. Keep in mind that there will be some companies out there that will try to convince you that you need to replace the entire fence even though it is not really necessary. Ludicrous! Our certified and reliable fence repair technicians don't need to take advantage of you when you're having your fence repaired. The spectacular job that we do at a fair price will provide all of the social proof that we need to grow our business! We have no doubt that once you've experienced the excellent job that we do, you'll want to tell others as well! 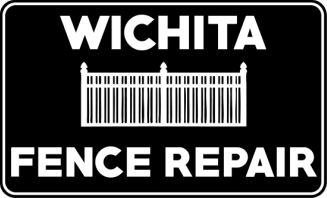 Wichita Fence Repair is here because of the amazing loyalty of our customers and the "word of mouth" referrals that are given to their neighbors, friends, and family. That is the sign of a job well done with great customer service and great work. At Wichita Fence Repair, these are both things that we do in excess. You know that you need a consultation, so don't wait another minute to give us a call! We can get right to work putting together the estimate and a plan for us to take care of all of your fence repair needs.